Now is the time to get your entries in for the Higherground Brewery/Summer Sun Brew Supply Yeti Homebrew Competition! It’s easy to enter. Drop off three 12 ounce bottles of your best homebrew with a $5 entry fee at either Summer Sun Brew Supply location (310 1st St. in Hamilton, and 838 W. Spruce Street in Missoula) or Higherground Brewery in Hamilton by this Saturday, December 15. 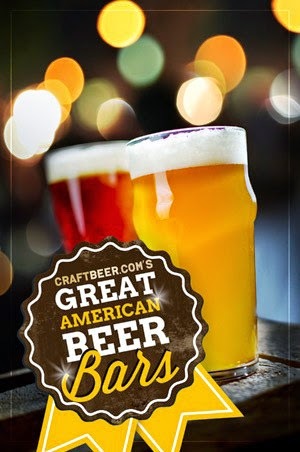 Categories for this inaugural event are: Light Beer, Amber Beer, Specialty Beer, and IPA. 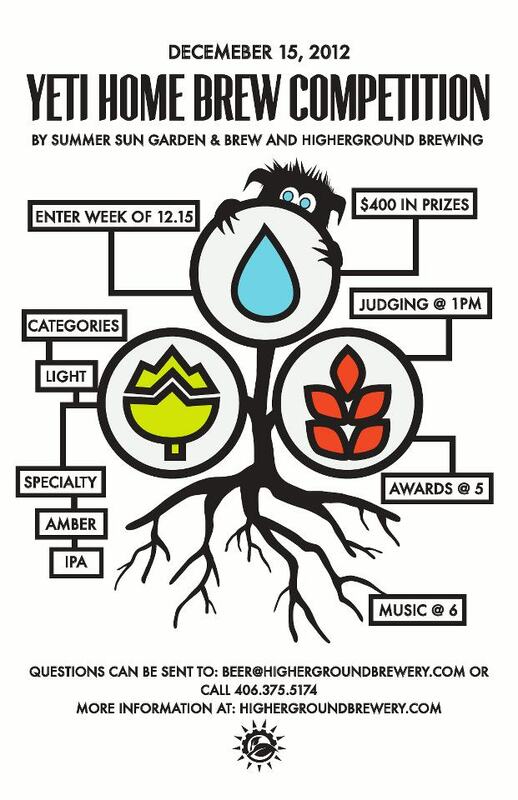 Judging takes place on Saturday at 1:00 at Higherground Brewery and yours truly will be on hand as a guest judge. Consider yourself lucky since that prevents me from entering the winning IPA. Prizes will be awarded at 5:00 p.m. and there’s $400 worth of goodies to the winning entries. Live music, pints of Higherground’s great beer, and wood fired pizza follow. Or precede. Your choice. Send your questions to: beer@highergroundbrewery.com.